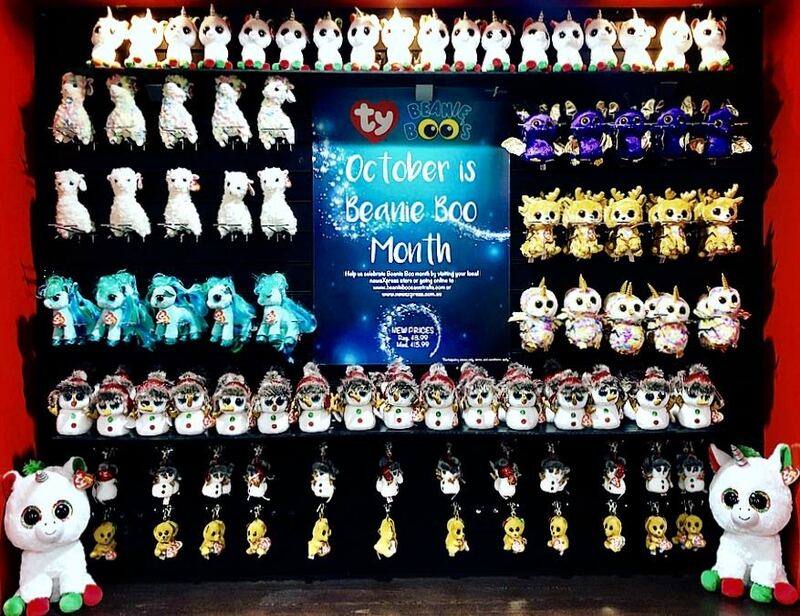 We like to keep behind the counter clean and simple, to use it as a billboard for a promotion or seasonal theme. 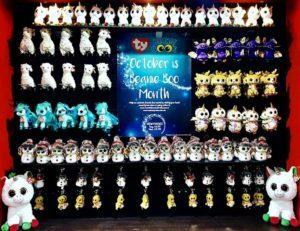 All through October we have done this, pitching the October is Beanie Boo Month newsXpress promotion, which has been on TV nationally. As the photo shows, the display is balanced, product driven and with a clear message at the heart. We have found this works – keeping it simple with a singular focus. Shoppers ask about the product and purchase from what is on display. We notice people looking at the display as they wait to be served or are being served. This is why simple is best, we don’t have much time in this situation. This behind the counter wall is best used for easily understood and purchased items, items people will happily add to their basket at the last minute. I think it is best to have only one product or one category represented in the behind the counter display. Mixing it up with multiple product categories can be confusing and leave shoppers not noticing your pitch. The critical thing is that your behind the counter space works commercially for you. If it is not, change it until you find a mix and display approach that works. And once you find that, try and copy it, learning each time. Having a behind the counter focus is another small step strategy that can add value to the business. While you won’t retire on the proceeds, it is a piece in the puzzle of growth.